UNOPS SSOC will be implementing the South Sudan Safety Net Project (SSSNP), which is funded by the World Bank (WB) to address existing challenges of soaring levels of poverty, vulnerability, unemployment and idleness, particularly amongst youth. The project development objective is to provide access to income opportunities and temporary employment to the poor and vulnerable households and strengthen safety nets delivery systems. The project will be targeting the most vulnerable segments of South Sudanese population aiming to be benefit in excess of 68 thousand beneficiary House Hold in more than 10 vulnerable locations across the country. Under the overall supervision of the Project Manager, the incumbent will be responsible for the technical expertise on approaches and methods for organizing broad scale community engagement and support for the SSSNP project. Through his/her work the Community Mobilization Officer will seek to increase community (local authorities and beneficiaries) involvement through working with the all institutional arrangements agreed upon in the project. This selected candidate will also provide inputs to the development of training materials relevant to community mobilization. Contribute effectively to the regular programme reports to the donors. All assignments performed in a quality and timely manner. Masters degree or advanced degree in Public Administration or Political Science or Social Science or Law or International Relations or Business Administration or relevant field is required. Bachelor degree in Public Administration or Political Science or Social Science or Law or International Relations or Business Administration or relevant field with additional 4 years relevant experience may be accepted in lieu of the Masters degree. Minimum of 2 years relevant experience in humanitarian activities and/or public works and/or food security and/or community mobilization or related area is required. Knowledge and experience of UN and World Bank systems is an added advantage. Skills in Communication and People Management is required. Fluent working knowledge of English is essential. Knowledge of Arabic language is desired. 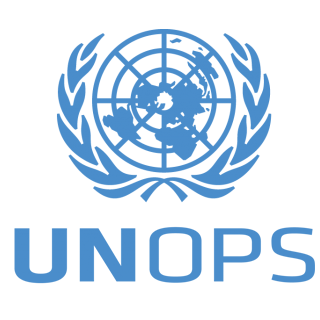 UNOPS is an operational arm of the United Nations, supporting the successful implementation of its partners’ peacebuilding, humanitarian and development projects around the world. Our mission is to help people build better lives and countries achieve sustainable development.UNOPS areas of expertise cover infrastructure, procurement, project management, financial management and human resources.